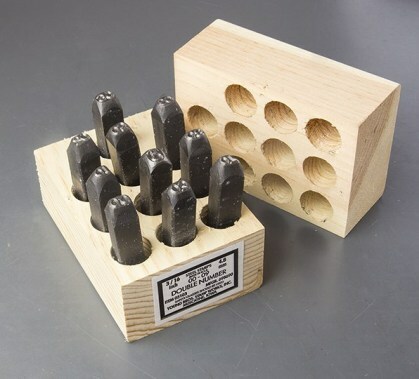 Heavy duty 10 piece set consists of consecutive increments of 10 stamps. 1/8" Characters, 3/8" Shaft, 2-3/4" long. 3/16" Characters, 1/2" Shaft, 3" long. 1/4" Characters, 9/16" Shaft, 3" long. 3/8" Characters, 5/8" Shaft, 3-3/4" long. 1/4" Characters, 3/4" Shaft, 3-3/4" long. 1/8" Characters, 3/4" Shaft, 3-3/4" long. 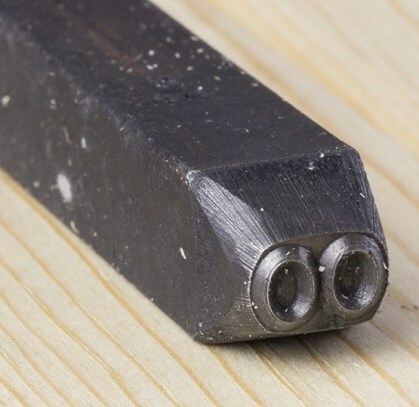 3/16" Characters, 3/4" Shaft, 3-3/4" long. 3/8" Characters, 3/4" Shaft, 3-3/4" long.